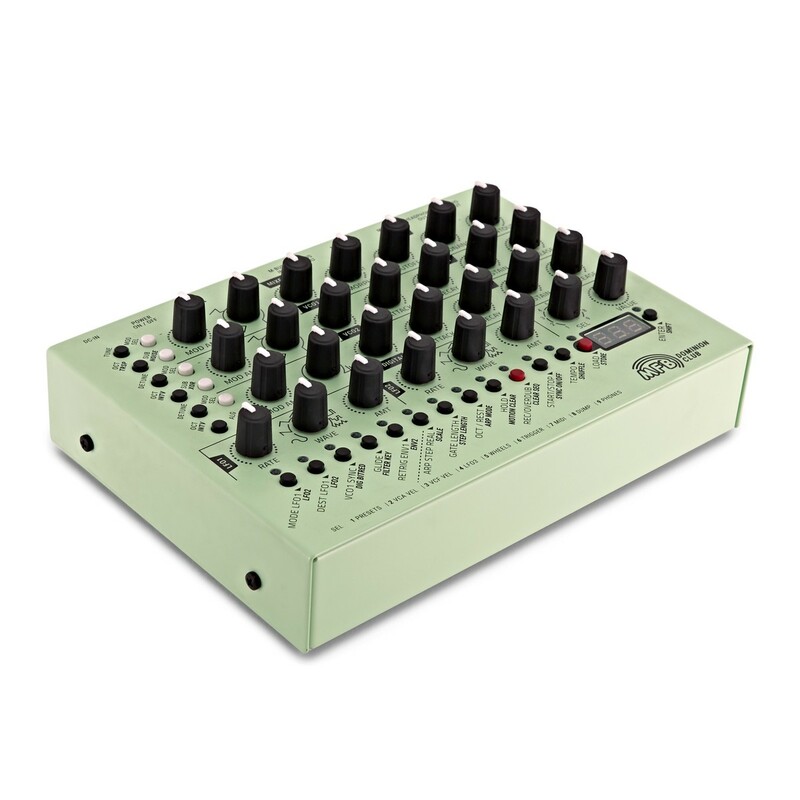 The MFB Dominion Club Analog Synthesizer is a module version of the MFB Dominion 1 Synthesizer. The MFB Dominion Club features two anlog VCOs, as well as a Digital Wave with morphing waveforms. Two suboscillators and a noise generator are also included, allowing you to create an endless palette of sounds. The analog circuitry combined with the in-depth modulation makes the Dominion Club one of the most versatile analog synths on the market. 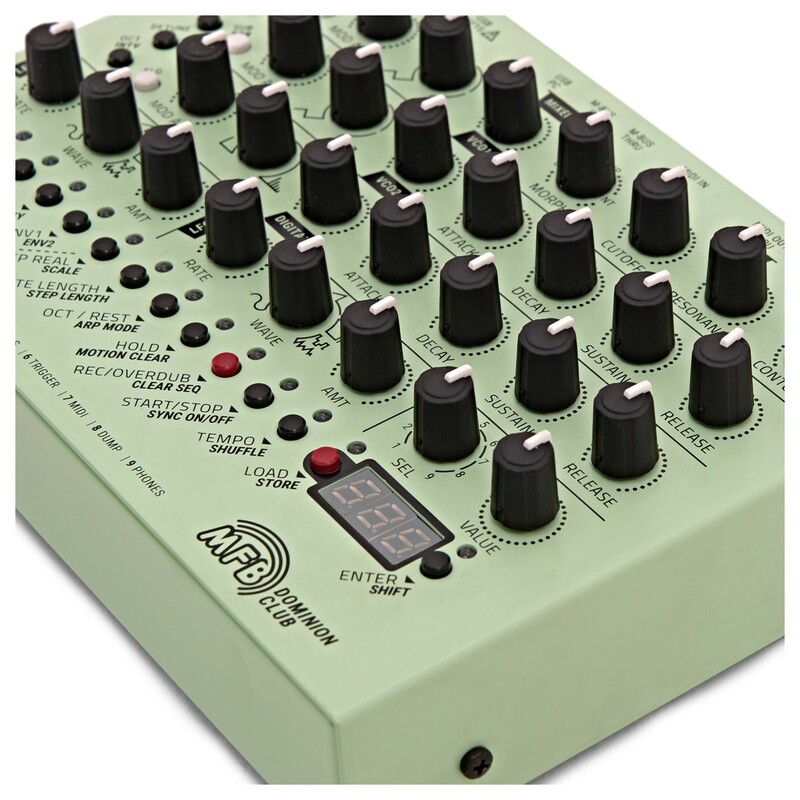 Its compact size makes it highly portable and great for both live and studio applications. Additionally, the Dominion Club Synth includes an integrated UBS and M-Bus interface as well as MIDI connectivity. 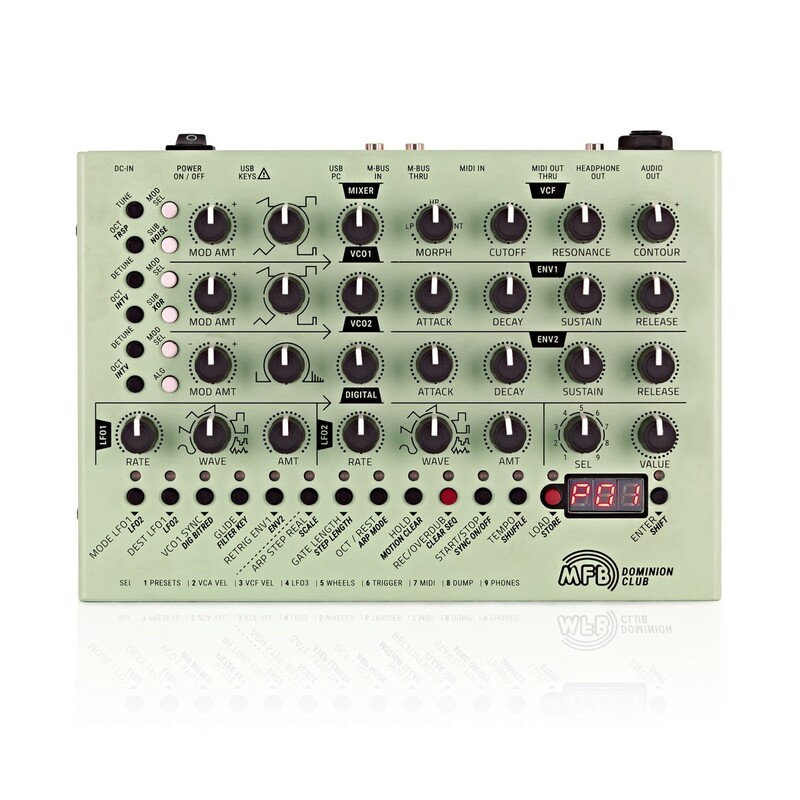 The MFB Dominion Club Analog Synthesizer is a compact, streamlined module version of the MFB Dominion 1 synthesizer. Basing its design on the original Dominion 1, the Dominion Club includes the same analog circuitry for that classic warmth and grit. At the heart of the Dominion Club are two analog VSOs and one Digital Wave with morphing waveforms. These morphing waveforms allow you to blend two waveforms seamlessly for added versatility. The result is endless possibilities when it comes to sound creation, giving you virtually countless sounds to play with. Two sub oscillators are also included for creating bass sounds, as well as a noise generator, XOR and Sync controls. 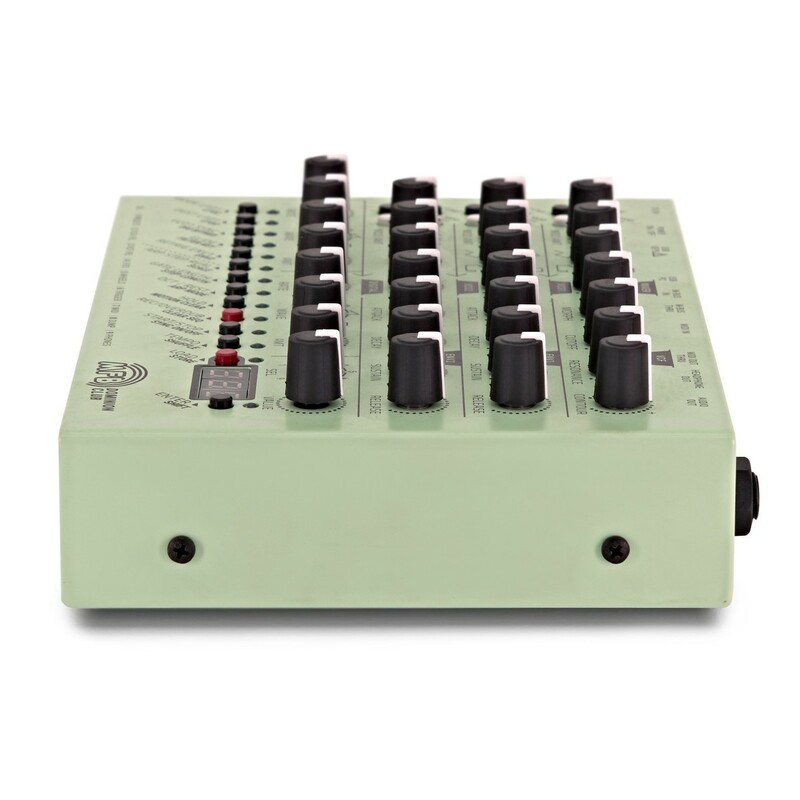 The MFB Dominion Club Analog Synthesizer features a wide range of versatile connectivity including MIDI connections which allow you to control CC functions. The Dominion Club also includes an integrated USB and M-Bus interface that allows you to connect the unit to an external computer or other USB supported device. This allows you to use the Dominion Club with a range of software including DAWs, as well as being able to export sequences and sounds for use in music production. There is also a USB host Input and Headphone output for added convenience. The compact yet portable design is highly robust thanks to the all-metal chassis. Its roadworthy construction means it ideal for use on the road, in live performances. 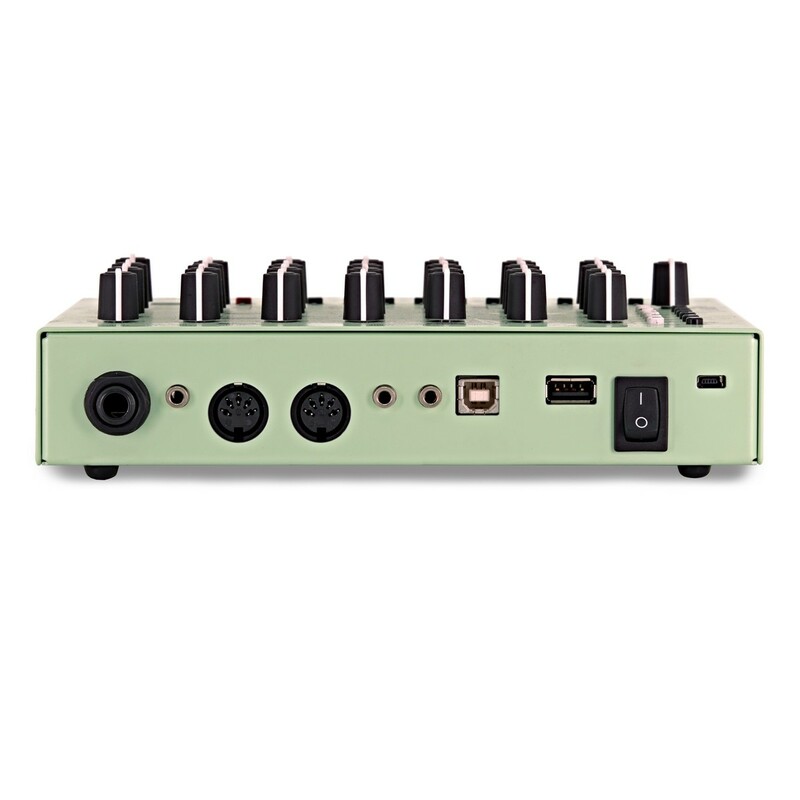 It’s also suited to the studio thanks to its integrated USB/M-Bus interface, allowing you to directly interact with your computer. Every major function features its own rotary-style control, allowing you to make precise changes to your levels. There is also a small LED screen that displays the patch/parameter number you are using at the time.